East London, while not being an immediate tourist destination, offers a sensation of culture and colour and for those looking to be inspired when it comes to interior design you can find a huge amount of spark within the streets that home Bricklands, Excel and the impressive corporate city sensation that is Canary Wharf. For anyone with an interest in interior design the Geffrye Museum is a must see, the collections within the museum show how homes have been lived in and furnished over the last four hundred years. You can walk through the ages starting in the seventeenth century and follow how fashion dictated style and how changes in society were reflected in the home. Brick Lane is a massive source of inspiration; whilst is predominantly renown for good curries it is also home to a host of graffiti artists including, probably the most famous being Banksy. One cannot fail to get motivated by the overwhelming diversity in taste and eclectic mesh of colours that you find in this corner of the capital city. This beautiful artistic haven offers gorgeous displays of contemporary art and has featured and premiered a range of artists from Pollock to Picasso. 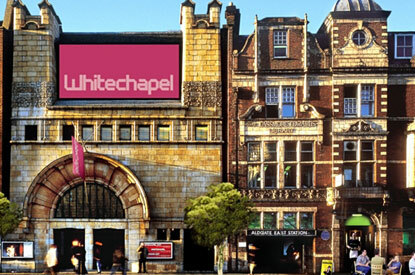 It reopened in 2009 following a major redesign and is known through London as highlighting challenging pieces of art and being an eye opening experience for those looking to get excited about art. If you are looking to be inspired this is the place to go. For a taste of true East London head over to Broadway market for an alternative to Portobello Road. You will find fewer stalls but a vibrancy and essence that are quintessecially East London and leaves you feeling full of the richness this side of London has to offer. Of course the escapades of last year cannot go unnoticed and East London hosts a feeling of memorabilia following the 2012 Olympic Games, inspiration can be gleaned here as you walk the streets around Stratford living the glorious memories that were created through the summer, you can hear the whisper of the crowd in the silence of the street and see the legacy of hundreds of talented sports men and women imprinted on the pavements. Who could fail to not be inspired by that?